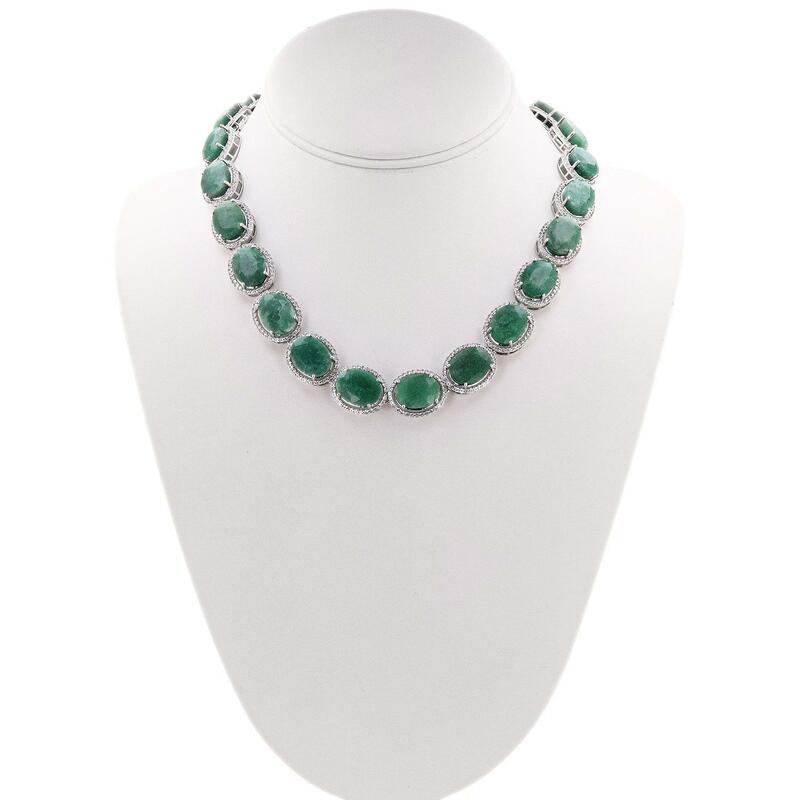 One electronically tested 925 silver ladies cast and assembled beryl emerald and sapphire necklace. Trademark is Orianne. Identified with markings of "925". Twenty-three prong set oval mixed cut natural emeralds, measuring 14.00 x 11.00 x 7.15mm, approximate total weight of 172.85ct., clarity is heavily included, type III, medium light, very slightly grayish, green color, (GIA G 4/3), cut is good. Seven hundred thirty-six prong set round mixed cut natural white sapphires, measuring 1.40 - 1.30 x 0.84 mm, approximate total weight of 11.55ct., clarity is eye clean, light, very slightly grayish, white color, (GIA W 3/3), cut is good. Total Weight of Colored Stones 184.40 ct.